"This recipe is my grandmother's. She came from Armenia and it has been in our family for years. We all still make it and it is so easy." 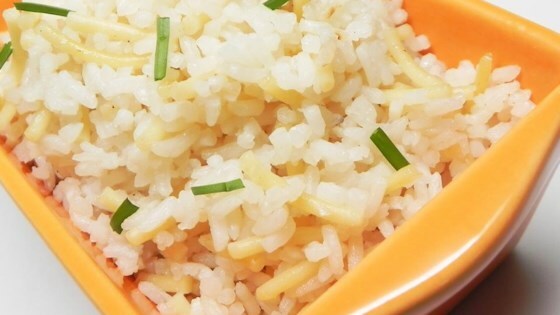 Soak rice in a bowl of water for 10 minutes. Drain. Bring chicken broth to a boil in a large saucepan. Melt butter in a skillet over medium heat. Add vermicelli; cook and stir until brown, 2 to 3 minutes. Add rice; cook and stir until combined, about 1 minute. Pour into boiling broth. Reduce heat to low and simmer, covered, until rice is tender, about 20 minutes. Season rice with salt and pepper; fluff with a fork. Delicious, buttery pilaf. Just what I was searching for! Thank you! Just like my family's recipe. My great grandmother passed it down also. Made as written and this turned out perfectly. It is simple, straight-forward, and fool proof. Thanks for sharing!